Out in the Rockaways, our friends, Josefina and Juan are facing a profound crisis, and we are asking for your support to pull together and support them. After surviving Hurricane Sandy one year ago, they both lost their jobs and have been struggling to make ends meet. Now they are being threatened with eviction. Help Josefina and Her Family Now business development program and have been working tirelessly to put together their cooperative, build their business plan, scout out locations, plan their menu, analyze their market and make their dream of business ownership a reality. Unfortunately, right now they are in survival mode. Josefina cleans houses and Juan was a taxi driver before the hurricane and up until recently he worked for a private contracter gutting out ruined moldy basements. After months of this work, his hands began to hurt and his fingers are now partially paralyzed. He recently consulted with a doctor who instructed him not work for three months or risk more permanent damage. With no worker’s comp or disability insurance, this literally leaves the family’s hands tied. "This is impossible” says Juan, “what can I do without my hands?" Currently, they are three months behind on their rent and daily wake up to the fear of eviction. We believe that with the support of this community we can help them through this moment of emergency crisis, and help them become the next successful coop entreprenuers in the storm-ravaged Rockaways. 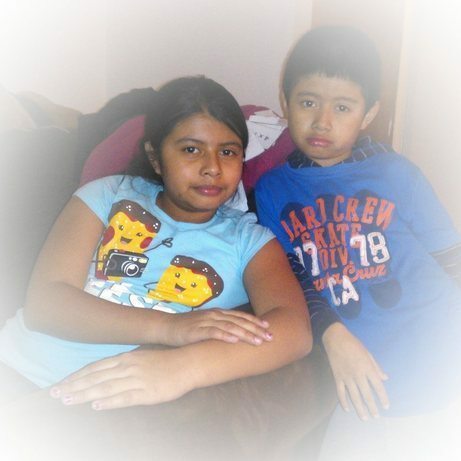 Please help Josefina and Juan stay in their home by contributing to the campaign. Any amount really helps. Thank you.